I can never say enough great things about Project X here in Chicagoland. 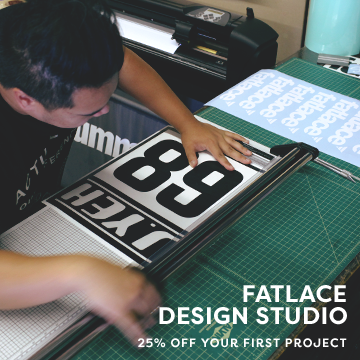 From providing outstanding service to letting me work on my own personal Z32 in their garage, these guys are quickly setting the standard for what a shop should be. Today they opened their doors to the local enthusiast community for a meet & greet BBQ. Our fabulous weather here in Chicago (heavily laced with sarcasm) provided us with a spectacular morning of rain, followed by a brisk 50 degree temp and strong winds that caused a brief power outage at the shop. None of this stopped the masses from coming out and actually having an excellent time. Great food, great people, cool cars, awesome times – that’s all that matters. 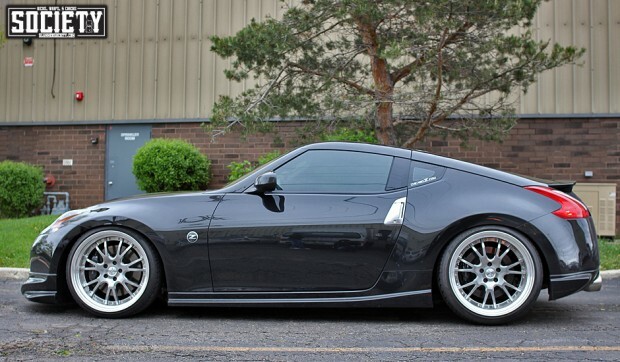 This was my first time seeing Keith’s new setup on his single turbo Z33, and I effing love it. RPF1 10.5 +15 275/35 all around, drop compliments of new Stance GR+ coils and a C-west CF lip kit. I really dig the blue! Going to be doing a proper shoot with this car in the future. 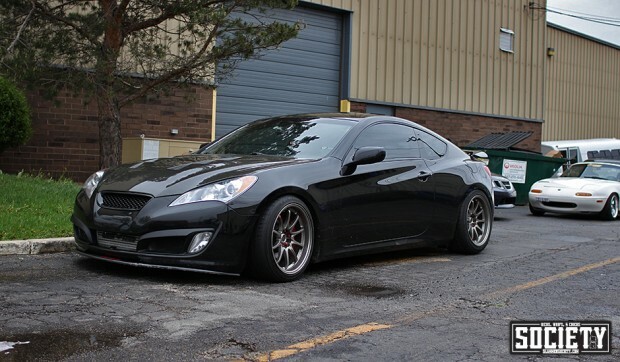 Kristin’s Tibur…errr, I mean, Genesis Coupe (Hi Kristin!) was out with one of the best stances I’ve seen on a local Genesis. She’s rocking a limited edition set of Volk CE28N in genesis finish. 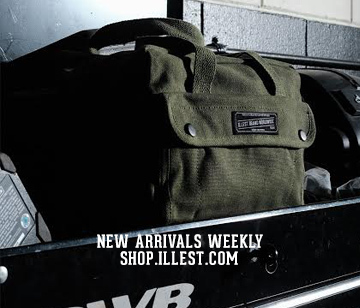 The famous ill_roller was out in his Risky Devil IS. This guy goes through wheels like I go through socks. But his current Work XD9 setup is pretty hot. 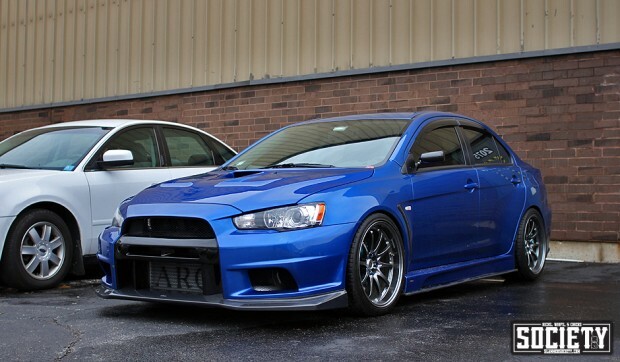 I’m a big fan of Michael’s Evo. 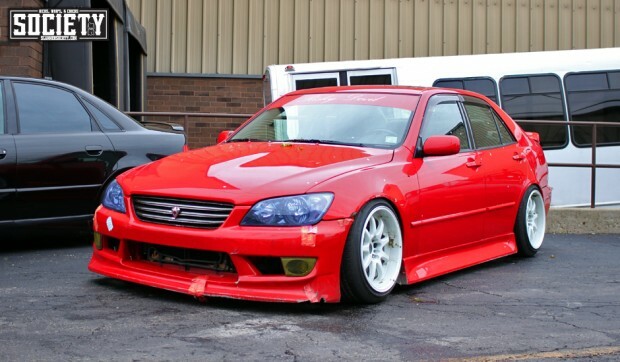 He isn’t super slammed, but his fitment is perfect imo. Also equipped with Volk CE28N in formula silver. 19×10.5 +22 all the way around wrapped in 285/30 tires. Yet another car that I have a shoot set up for in the near future. 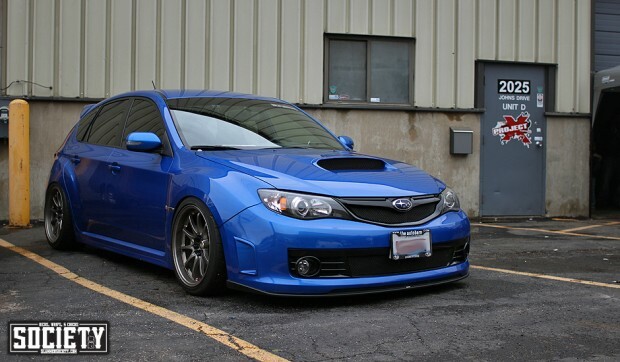 I was really digging this STI Wagon, and yet another set of Volk CE28Ns. Did we have a group buy or something?? Regardless of the saturation of CE’s today, car looks the tops. 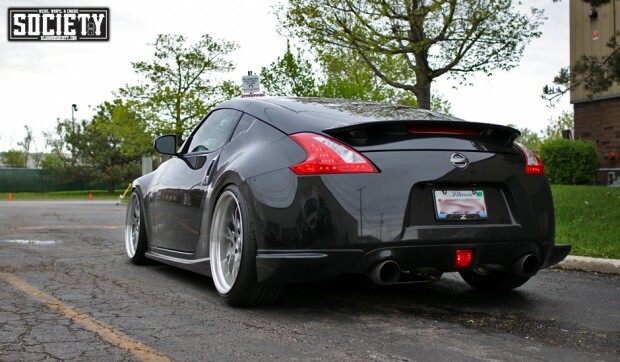 I honestly can’t help going from six to midnight every time I see Gene’s 370z. 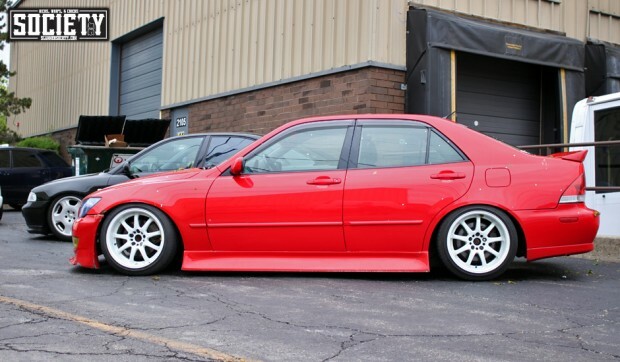 He recently fitted a set Venaci Mesh wheels, made by Work and sold by Status Autoworks in California. Similar to the Work Gnosis GS4s but with Venaci centercaps and a machined lip, it looks fan-flippin-tastic. Gene also recently had a GTM supercharger installed. Nom nom nom. 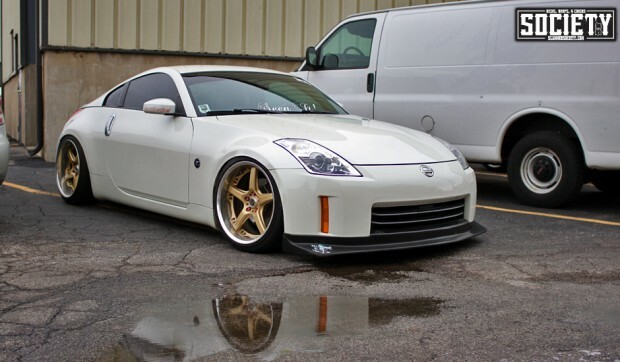 Eric has a simply done clean Z33. Stock body, but the Volk GTS wheels compliment the white perfectly, and the lip is a subtle touch. Maybe a more aggressive setup in the future? Eric says possibly. 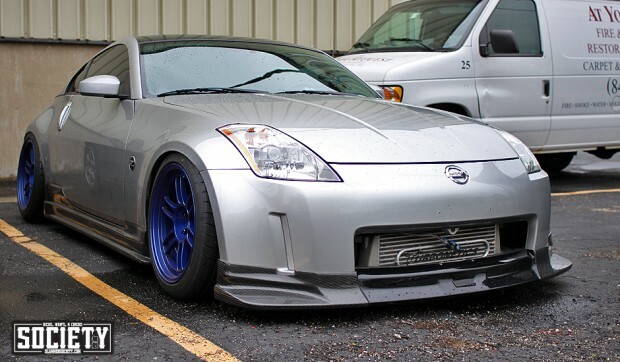 I really like the setup on the silver 350z with 275’s and 10.5j’s. I spot the Risky Devil IS300 also! YOU MEAN IF I HAD BROUGHT MY MIATA I WOULD HAVE BEEN IN FATLACE?? ARE YOU KIDDING ME!!! Group buy! XD lol nice rides for sure!